If your GE appliance isn’t working, you’ve come to the right place. Tiger Mechanical is Maricopa County’s leader in GE appliance repair. We always provide fast and reliable service, and stand by our work with fully comprehensive warranty. Our technicians undergo regular training to ensure that they are knowledgeable and up-to-date with the latest in GE Appliances including refrigerators, ovens, stoves, dishwashers, washers, dryers, and more. Contact Tiger Mechanical today and we’ll provide you with qualified technicians that get the job done. Don’t trust your appliance in just any hands—our technicians are highly trained and experienced on all General Electric appliance types. 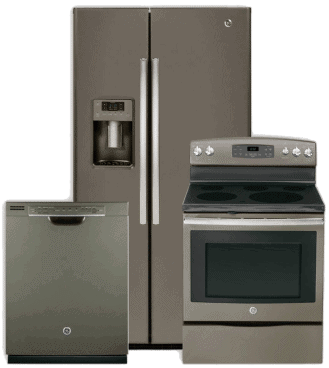 We are experts on the GE Profile Series, GE Monogram, GE Cafe, GE Artistry, and all other standard GE Appliances. With over 25 years of GE appliance repair experience, you can rest assured that we’ll get your appliance up and running in no time.